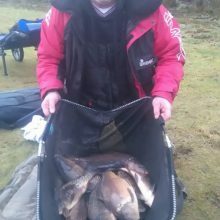 A nice mild day with Temps of 10 degrees, overcast and flat calm, but the overnight rain had put a foot of water in Queensberry Water / Bruces Acre – and the omens were not good! 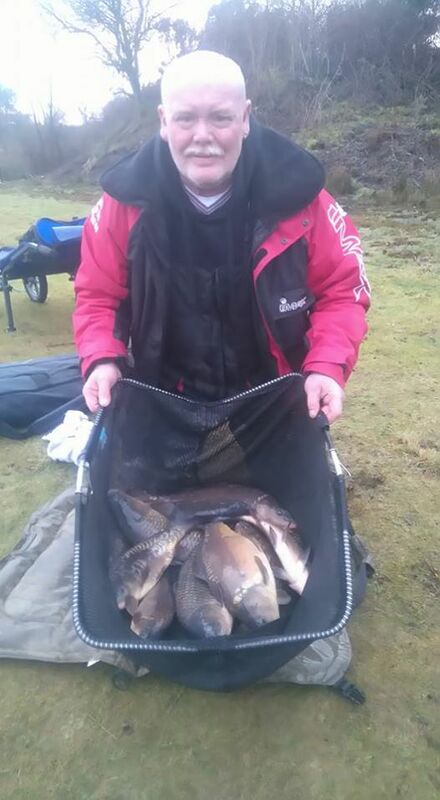 Geoff Whittle ran away with the overall win with 28lbs of carp and 9lb 2oz of silvers, caught on bomb n maggot. 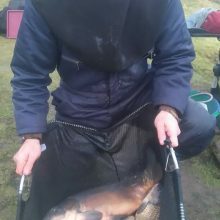 Now for 2nd place, Michael James Harkness is turning from Serial “SHAMER” to serial “FRAMER”… Picking up another envelope after catching a nice net of carp on maggot feeder – well done AGAIN mate.! 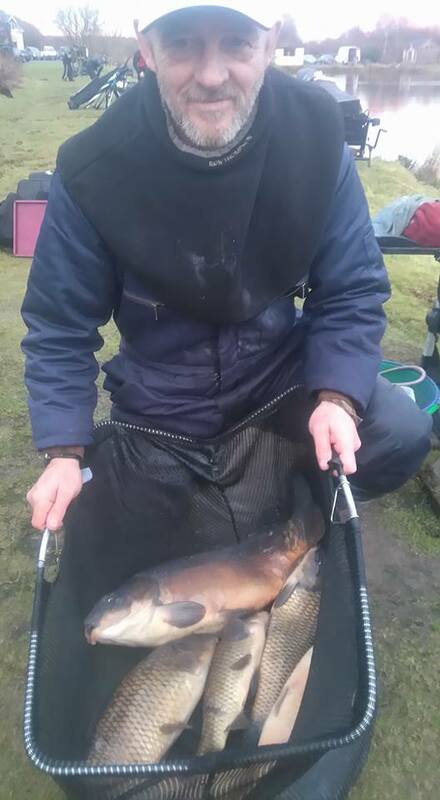 Barry Young chose peg 25, and managed 2 chub, 2 good skimmers and about 60 small skimmers / roach and perch for 3rd place, with Craig Duncan taking the last framing spot with a few skimmers and a good ide caught late on. 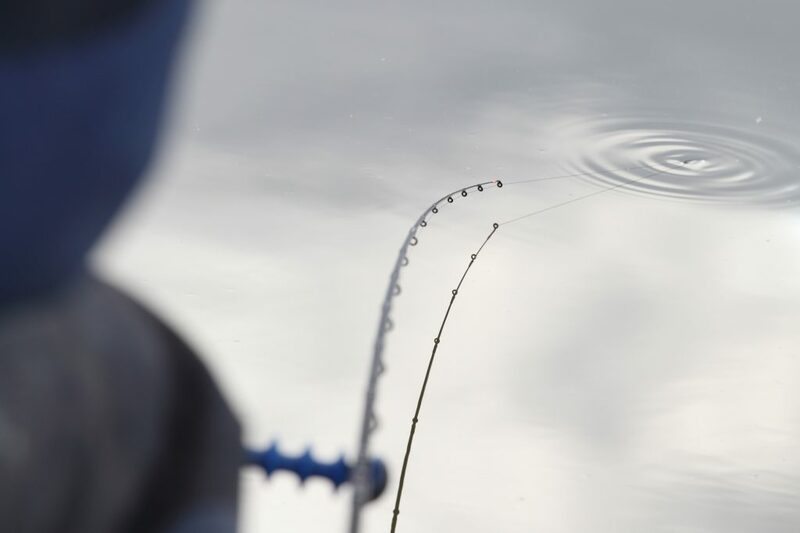 Quite a few carp caught yet again, which seemed to be coming in and sitting over the groundbait on the pole lines, reluctant to feed but bullying off the skimmers at the same time… you could feel them as you lifted your rig gently. Thoroughly enjoyable day, great fun as always with the guys.